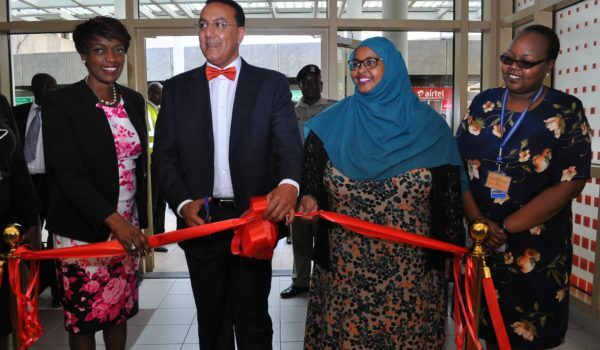 The event was held in partnership with the Kenya Tourism Board (KTB), national carrier Kenya Airways (KQ) – and culminated in the signing of an MoU between the two parties – seeks to make information on Kenyan tourism more accessible to tourists coming into the country and grow the visibility of Kenya as a destination in domestic, regional and international source markets. 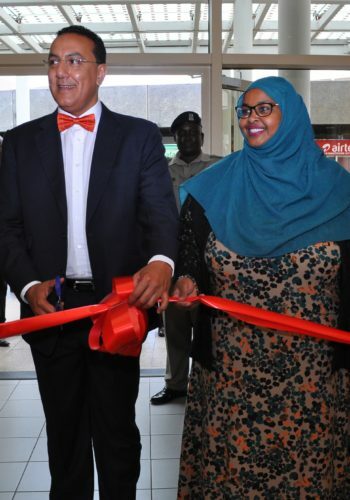 Discussions around the establishment of the TICs at JKIA began last year between the Kenya Tourism Board (KTB) and Kenya Airports Authority (KAA) – under the Northern Corridor Integration Projects (NCIPS). During the 8th Summit of the NCIP held in Nairobi in December 2014, it was directed that Tourism Boards in the Partner States establish tourism desks at strategic locations at entry points for the purpose of providing visitor information and enhance visitor experience right from the point of entry. The CS appreciated the efforts that have gone into the realization of the Tourist Information Centre. He acknowledged the strong partnership between the Kenya Tourist Board and the Kenya Airports Authority.